Journey Bicycle frame from Forgione Telai - Randoneè version: bicycle touring bike designed for long-distance travelers. Removable frame suitable for transport in a suitcase. The "Valigetta" is a cycle touring bike designed for long-distance travelers. It has the characteristic of being easily dismantled and stuffed into a suitcase, for example for air transport. The one presented here is a fully equipped and complete version for your rides. 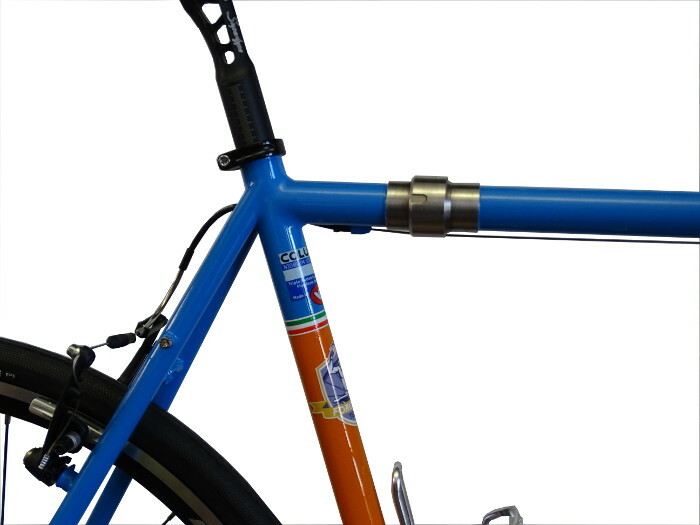 Obviously it is possible to make different configurations and, optionally, make customizations on the frame itself. Frame: Personalized , with Columbus Life steel pipes, silver filet brazed, removable with stainless steel fittings. Who uses a bike like this?